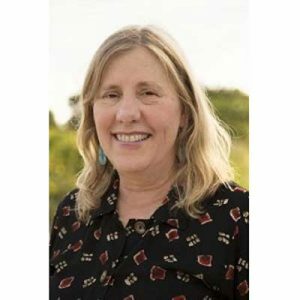 Sharon Feigon is a founder and the executive director of the Shared-Use Mobility Center, a national nonprofit organization working to extend the benefits of shared mobility for all. As executive director, Ms. Feigon oversees SUMC’s work to conduct innovative research around the impacts of shared mobility, develop pilot projects to test shared mobility strategies, and provide advice and technical assistance to cities and regions. SUMC was also recently awarded a contract to develop an Innovation Knowledge Accelerator program in partnership with the Federal Transit Administration to assist cities undertaking Mobility on Demand projects. Ms. Feigon was previously the CEO of IGO Carsharing, the nonprofit organization that started carsharing in the Chicago region. Under Ms. Feigon’s leadership, IGO grew from a small pilot project into a successful operating company with 15,000 members in 45 neighborhoods. Ms. Feigon worked with the Chicago Transit Authority to create the only combined car-share/transit fare card in North America, which continues to serve as a model for the possibilities between shared-use companies and public transit. She also led IGO’s expansion into underserved communities and developed solar canopies and charging stations that helped introduce renewable charging and mobility hubs to the region. Prior to taking the helm at IGO, Ms. Feigon was the Director of Research & Development at the Center for Neighborhood Technology for more than a decade. She was the Principal Investigator for Combating Global Warming Through Sustainable Surface Transportation and was the lead author of TCRP Report 93: Travel Matters: Mitigating Climate Change with Sustainable Surface Transportation. Before that, Ms. Feigon coordinated CNT’s Transit-Oriented Development Program and was one of the authors of The New Transit Town. Ms. Feigon was a founder of the national Carsharing Association and has served as Co-Chair of the Transportation Research Board’s Shared Vehicle Committee and as a member of the U.S. Green Building Council’s LEED-ND Committee, which created LEED standards for neighborhood developments. She holds an MBA from DePaul University and a BA in Economics from Antioch College.